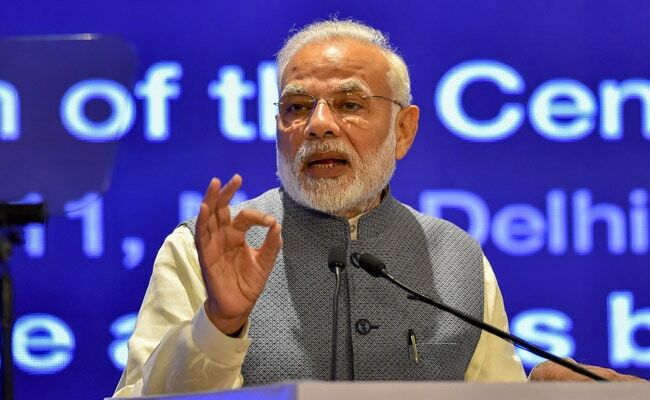 The government has taken major initiatives for the Fourth Industrial Revolution over the last four years, Prime Minister Narendra Modi said today at the launch of a Centre for the Fourth Industrial Revolution, which will be based in Maharashtra. The centre, he said, will "open the door to infinite possibilities for the future." The Fourth Industrial Revolution describes the huge ongoing changes in our lives due to the Internet and the resulting smart technologies. Describing the exponential changes, PM Modi said, "Artificial Intelligence, Machine Learning, Internet of Things, Blockchain, Big Data and several other new technologies have the capacity to take development in India to new heights... Coordination among diverse technologies is leading to 4th Industrial Revolution." The Centre in India is the fourth in the chain - the ones in San Francisco, US, Japan capital Tokyo and China's Beijing are already functioning. NITI Aayog will coordinate the partnership on behalf of the government. In its website, the World Economic Forum, which has taken this initiative, describes the Centre as a "hub for global, multistakeholder cooperation to develop policy frameworks and advance collaborations that accelerate the benefits of science and technology." The WEF said the initial efforts are focused on two areas of emerging technology -- artificial intelligence and machine learning. India, PM Modi said, is ushering in big changes. "In rural areas, our government is trying to bring about 32,000 wifi hotspots," he said citing the government's efforts to create a Digital India. From 59 in 2014, when his government came to power, more than 1 lakh gram panchayats are connected to optical fibres, the Prime Minister said. Our aim is to connect all 2.5 lakh panchayats, he added.